You can buy SmartRiders at UWA Campus News and Gifts in the Guild Village, or from any authorised SmartRider outlet. 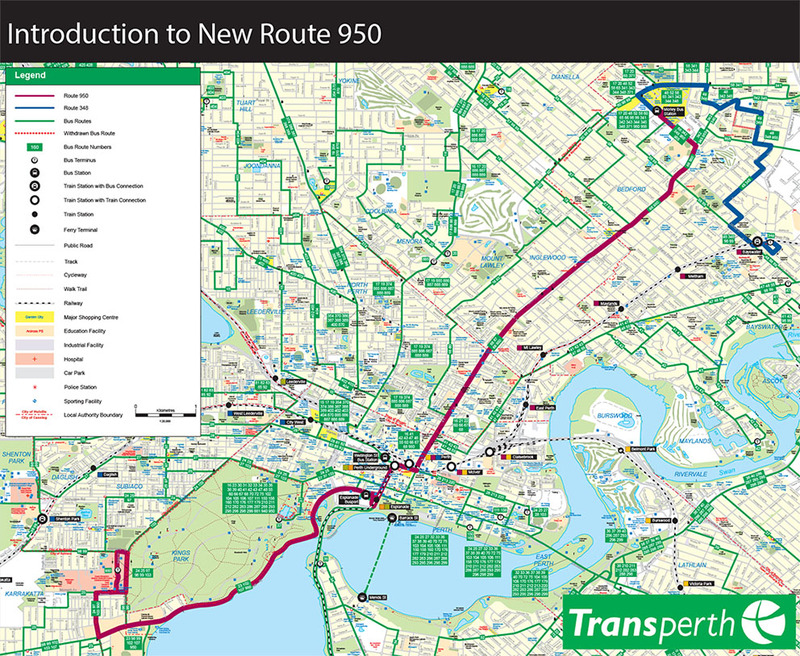 Transperth's 950 'Superbus' - Perth's highest frequency service - services UWA. Running every one to four minutes during weekday peak hours, the 950 runs between Morley Busport and QEII via UWA and Perth. The 950 service replaced and incorporated all stops along the previous 78 and 79 services. Therefore, routes 78 and 79 have ceased. Existing routes 23, 102 and 107 will continue to operate from the Esplanade Busport. For more information contact the Transperth Infoline 13 62 13 or visit their website.